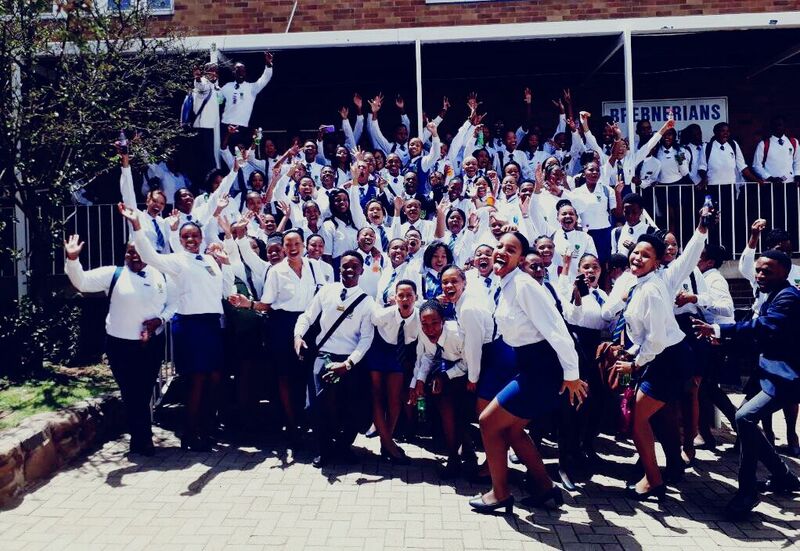 Brebner High School has been serving the Bloemfontein Community since 1906. We are situated in the Helicon Heights suburb of Bloemfontein and the natural feeder area of the school is the following suburbs: Helicon Heights, Bayswater, Pentagon Park, Dan Pienaar and, Heuwelsig. The school offers subjects which emphasise’s the Sciences and Business fields of study.We currently have 1618 learners of all cultures in our school. We have a teaching staff of 66, administrative staff of 8 and a school support staff of 31. We also have two sports organisers and a social worker on our staff. The school has a 240-bed hostel as well as 3 soccer fields, 2 basketball courts, 4 netball courts and 2 hockey fields. We also have an information centre, consisting of a small library and computer centre with internet access. “In 1898, just one year before the start of the Anglo-Boer war, one year before his retirement, and three years before his death, a new school was established in the so-called “Railway Camp” (now the Hilton suburb) in Bloemfontein. From the outset, the vision of this school was to cater for the needs of those on the fringes of society, i.e. those whose circumstances might prevent them from rising above their inherited challenges. This calls to mind John Brebner’s own descendance from (mostly) illiterate manual labourers. Upon the inauguration of the school’s newly-built permanent buildings in 1906, it was officially named after Dr John Brebner. 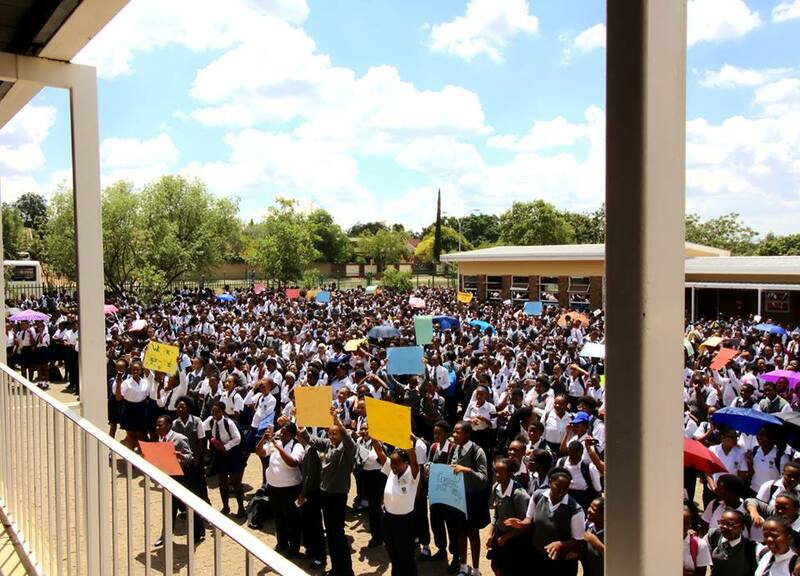 Many decades later, in 1990/1991, the school was the very first in the country to receive “Model B” classification, making it the very first former white school from the apartheid era to be awarded the freedom to enrol pupils classified as “non-white” alongside its traditional complement of white pupils, but this classification came with the penalty of a loss of the number of departmentally-funded teaching posts. The staff members unanimously agreed to enlarge the number of pupils in each class in order to accommodate the new status. The school’s parent body exceeded the department’s requirement of a two-third majority vote in favour of the new status by a large margin. Brebner High School hostel has its origins in the old St Peters and St Aidens hostels that were run by the Anglican Church. When the Brebner School moved to its existing premises in the 1970’s the St Aidens and St Peters hostels were amalgamated into the Brebner High School Hostel for boys and girls, under the management of the Brebner High School. The hostel has space for a maximum of 230 boarders. The hostel’s tradition prides itself in that this has never been a place for boarders who need “corrective” behaviour but rather a place where young people can learn how to cope with living away from their family and friends. They also learn how to make decisions whilst being taught how to live within a community composed of a variety of different people and their actions will thus not only reflect on themselves but also have an impact on others who live with them. The vision of Brebner High School is to ensure all learners receive a quality education so that they may optimally develop their talents. Maintaining the highest possible education standard with bridging courses or accelerated courses, when needed. Ensuring an effective, cost efficient and educationally accountable school management at all times. Involving parents in all aspects of the school. Utilizing and developing an enthusiastic, participative and supportive learner body. Maintaining a healthy balance between individual and group rights. Creating a well balanced cultural and sports programme. Maintaining norms and standards that ensure religious freedom at all times, while adhering to the school code of conduct.